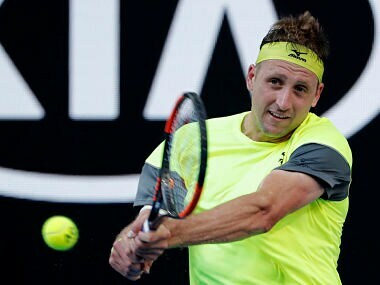 Melbourne: Tennys Sandgren's mum was celebrating so hard after watching her son make the Australian Open quarter-finals that she cracked a rib and had to go to the hospital. 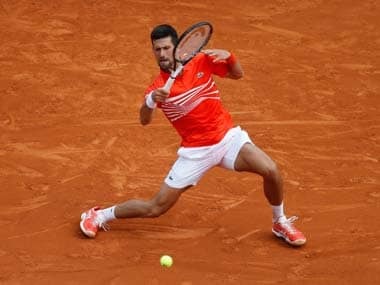 The unheralded American has been a revelation at Melbourne Park, upsetting former champion Stan Wawrinka in round two before sending fifth seed Dominic Thiem packing on Monday. His best ever Grand Slam run was all too much for his mum Lia, who came a cropper as she jumped up and down in excitement back home in Tennessee, crashing onto a pool table. "She didn't have a concussion, thankfully. Maybe a tiny one," said the 26-year-old, who cut off his ponytail and shaved his handlebar moustache for a new-look at the opening Grand Slam of the year. He explained that he has a core supporter group back in Gallatin who get together to watch his bigger games, including his mum. "They'll go in the basement, put the match on the projector screen on the bottom. There's a pool table down there, as well," he said. "They were jumping up and down, celebrating. She fell onto the pool table, cracked a rib. Whoops. "I was pretty worried," he admitted. "She was describing her pain level. She's a tough woman. I was like, 'You need to go to the hospital'. 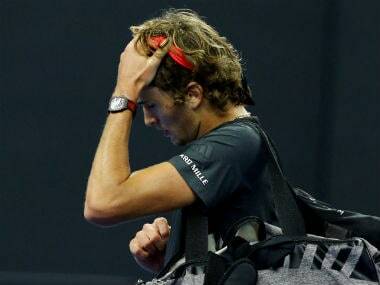 "I was concerned about it. She went to the hospital." Sandgren, only the second man in the last 20 years to make the quarter-finals on his Australian Open debut, plays Korean giant-killer Chung Hyeon on Wednesday for a place in the semis. His mum will no doubt be taking it easy. Asked how she was, he said: "She's lying down, resting."